Ramnath is Vice President of Technology, Innovation Labs. The lab, based out of Chennai, India, has jump started technology and teams for all of its co-created companies from their inception. The Fabric Innovation Team, which knows the disruptive and evolutionary nature of products created by leading edge start-ups, has deep experience in developing technologies with over 10 start-ups. Ramnath also helps build the initial Chennai based team for each of the co-created companies and assists in formation and growth of their own engineering centers. 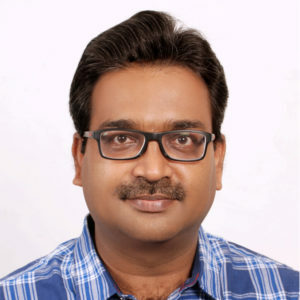 Prior to The Fabric, Ramnath, working with Rajan and Prabakar, has built and driven multiple technology teams in India, including Real Chip, Xambala, and Ankeena Networks.